There were 152 entries submitted for the 2018 awards, and finalist titles will compete in seven categories: Picture Book, Junior Fiction, Young Adult Fiction, Non-Fiction, Illustration, te reo Māori and Best First Book. The winners of those categories will all compete to be named the Margaret Mahy Book of the Year. All experts in the field of children’s literature, the judges also sought the opinion of those who matter most: the children themselves. They worked with panels of young people to gauge how they reacted to and interacted with the titles. Children are also involved in the awards through the HELL Reading Challenge. Now in its fifth year, this partnership has been hugely successful in getting kids reading and enjoying the pleasure of stories – with the added bonus of free pizza rewards. Since the 2018 programme began in early March, more than 200,000 pizza reading wheels have been ordered by over 730 schools and libraries around the country. An exciting new sponsor further strengthens the Awards this year. The Wright Family Foundation, a charitable trust, which already supports the Kids’ Lit Quiz and the New Zealand Spelling Bee, is funding two categories – the Wright Family Foundation Te Kura Pounamu Award and the Wright Family Foundation Esther Glen Award for Junior Fiction. The authentic voices of young New Zealanders are heard loud and clear in the Wright Family Foundation Esther Glen Junior Fiction shortlist. Whether in the past or present, drama or comedy, the judges found the characters to be warm and vividly real, as they face challenges and negotiate relationships. The Copyright Licensing NZ Award for Young Adult Fiction was another exceptionally strong field this year, with themes of survival against the odds, challenges and mental health issues. Most importantly, the judges say, the authors in this category all nailed the voice of their young adult characters “in these well-written and deftly plotted books”. 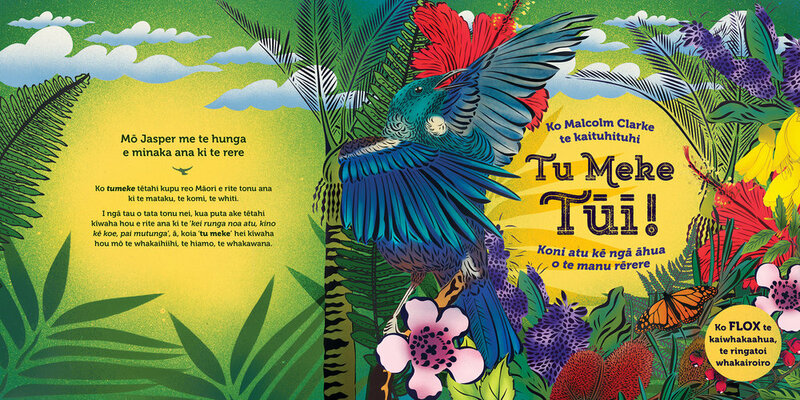 The entries in the Wright Family Foundation Te Kura Pounamu Award for books written entirely in te reo Māori were described as ‘Ahakoa he iti he pounamu’. Although there were a smaller number of entries this year, they were “precious like greenstone”, and the judges praised both the content and the quality of the language used. The formidable task of narrowing the field to a list of finalists was met by this year’s experienced judging panel: Jeannie Skinner (convenor) a facilitator at the National Library of New Zealand; Crissi Blair, a long-time promoter and champion of children’s books; Maureen Crisp, writer and blogger; Darryn Joseph, an academic and author; and Bridget Schaumann, a school librarian. They were joined by a panel appointed by Te Rōpū Whakahau to judge the te reo Māori entries, which was led by Moana Munro (convenor), kaitiakipukapuka Māori for the Hastings District Libraries, Anahera Morehu, library manager for the Faculty of Arts, Māori and Pasifika Team of Te Tumu Herenga at the University of Auckland, and Jacqueline Joyce Snee, senior librarian Māori Research at Auckland Central Library. School children will have a chance to meet the 2018 finalist authors and illustrators at four large-scale regional events in the week leading up to the awards ceremony. The first is in Hamilton (Wednesday 1 August in association with Waikato University, Hamilton Library and Hamilton Book Month); then Dunedin (Friday 4 and Saturday 5 August in association with Dunedin Public Libraries and UBS Otago); Christchurch (Monday 6 August in association with WORD Christchurch); and finally in Wellington (Wednesday 8 August in association with Te Papa and Wellington City Library).